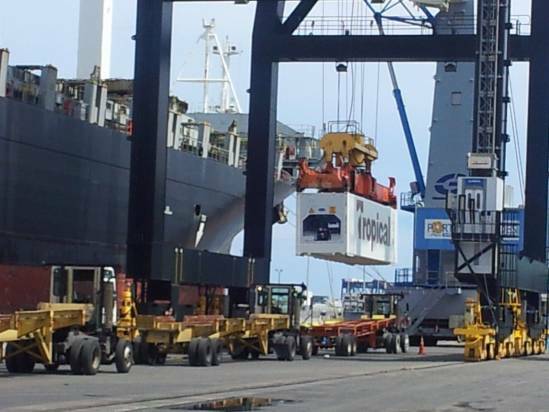 DELTA successfully completed a transport contract for delivery of 925 new reefer containers from Chinese Factories to receivers in Costa Rica and in Florida (USA). Because the ship was too large to call in the port of Palm Beach the containers were discharged in Port Everglades and will be trucked from there to the receivers' premises. The photo shows the vessel during discharge in Port Everglades.